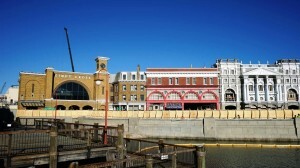 The Wizarding World of Harry Potter consists of two different areas in two different theme parks: Hogsmeade, located in Islands of Adventure, recreates the only all-wizarding village in Scotland, replete with the majestic Hogwarts Castle; Diagon Alley, snuggled inside Universal Studios Florida, is a hustling, bustling city block consisting of several side streets that are dominated by the imposing Gringotts Wizarding Bank. 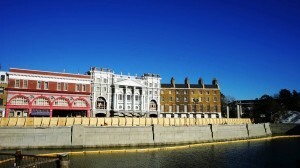 Both are, simply put, amazing areas, with so many unique attractions and experiences hidden around every corner that it just wasn’t enough to give you the basic information on their rides, shops, and eateries – we have taken it to a whole new level with our Insider’s Guide to The Wizarding World of Harry Potter. 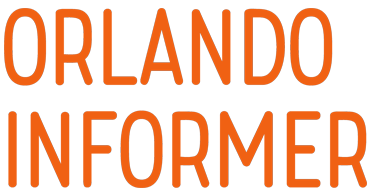 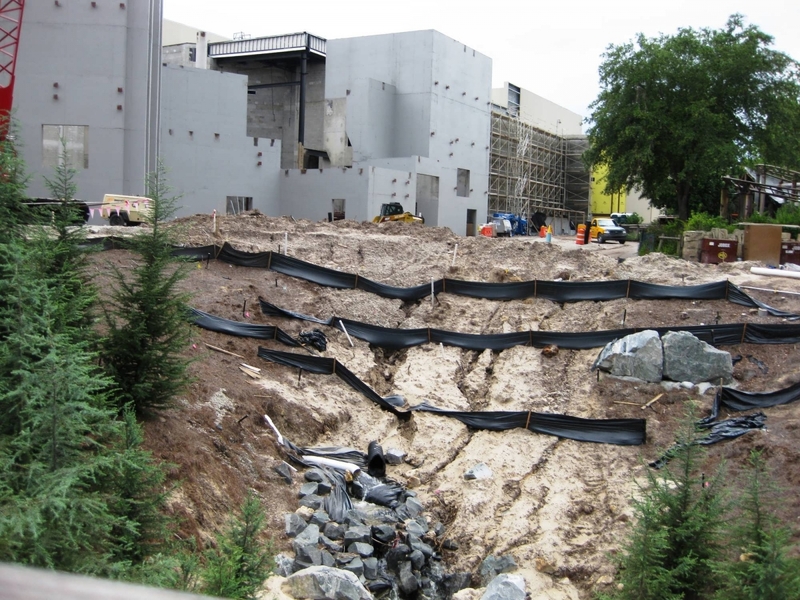 This page includes a history of Harry’s presence at Universal Orlando Resort, common misconceptions, and a description of the areas’ layout. 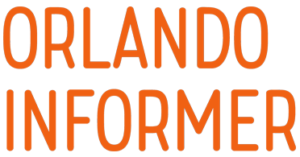 When you are done here, use the navigation links at bottom of the page to continue your magical education. 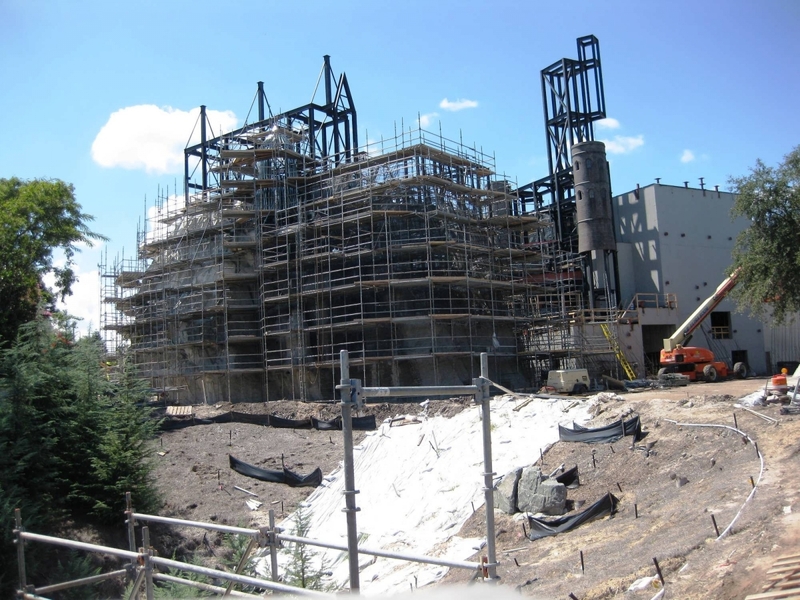 The first slice of The Wizarding World of Harry Potter was announced by Universal in May 2007, after author J.K. Rowling signed a deal to bring her popular book and film franchise to Islands of Adventure, the second of the two theme parks at Universal Orlando. 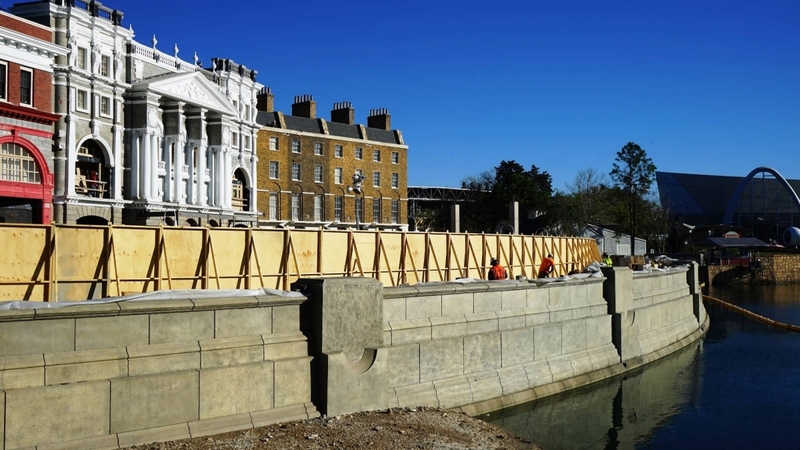 The new land’s development and construction would be overseen by two Harry Potter movie franchise alumni: Stuart Craig, the production designer of all eight installments, and Alan Gilmore, the art director for chapters three and four (and the assistant art director on the second). 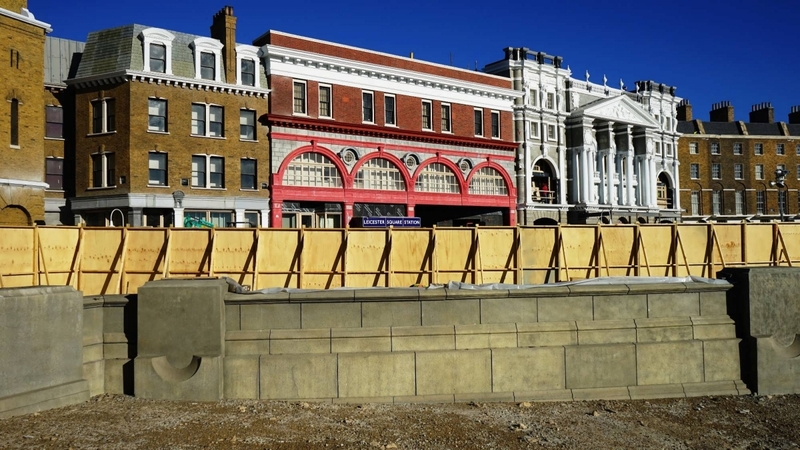 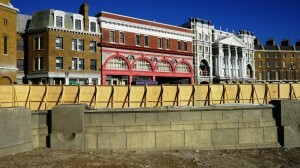 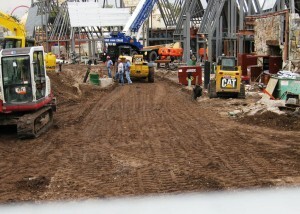 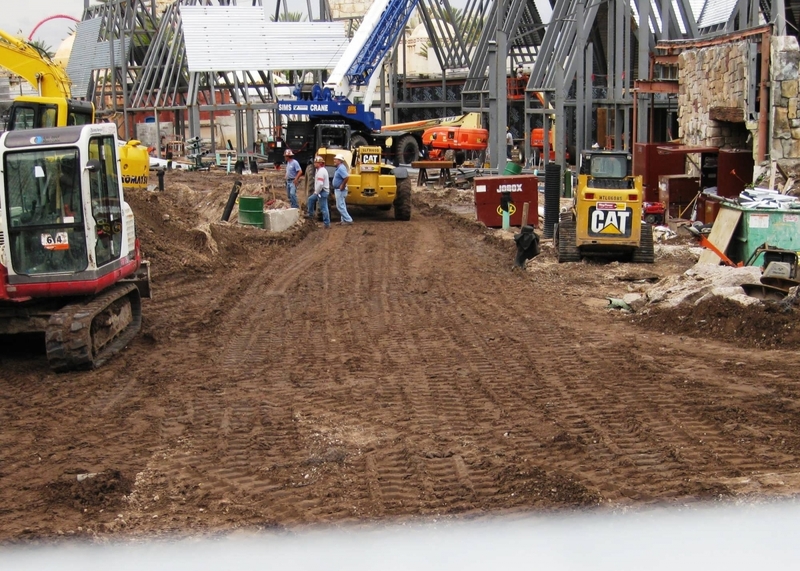 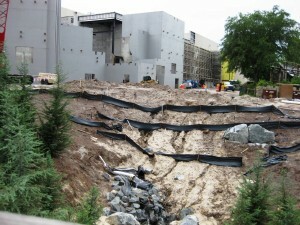 Ground would break on the project that summer, with a scheduled opening date of late 2009. 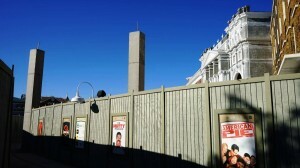 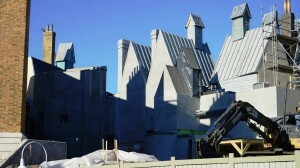 Though many details were kept quiet until Hogsmeade’s opening, Universal began to share information about the attractions and food offerings after Tom Felton (the actor behind the dastardly Draco Malfoy) announced on behalf of the company that the Wizarding World would open in the spring of 2010. 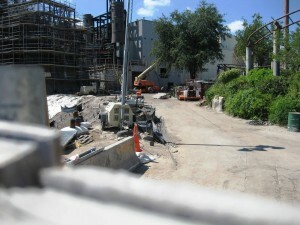 Construction began in January 2008, and the Wizarding World became a popular attraction almost immediately at Islands of Adventure, despite the fact that it was still decidedly incomplete; in the words of the Orlando Sentinel‘s Dewayne Bevil, “the latest attraction at Islands of Adventure has no line, no height restriction, and no t-shirt shop.” During their visit to the theme park, guests would gather on the bridge connecting The Lost Continent and Jurassic Park to watch construction on the soon-to-arrive Hogsmeade Village. 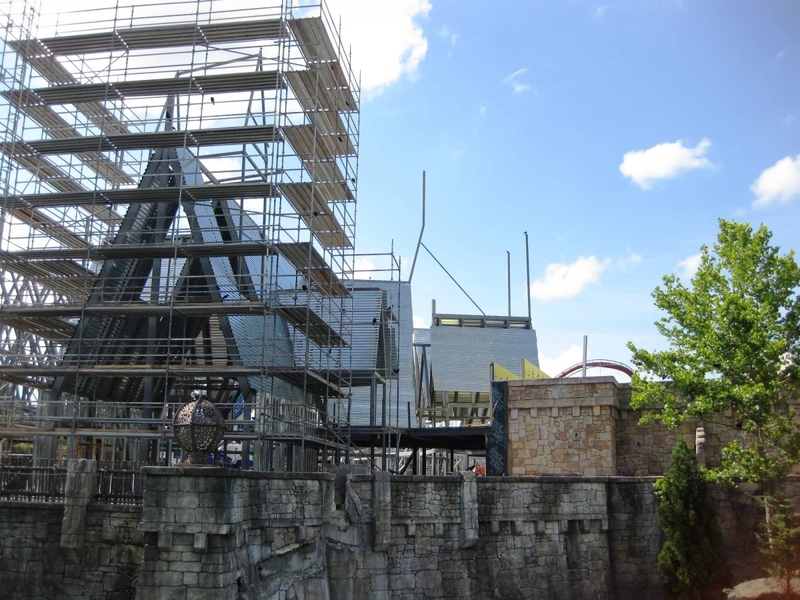 From the beginning, Universal seemed dedicated to making the Wizarding World as authentic and as true to the films as possible, with no expense being spared. 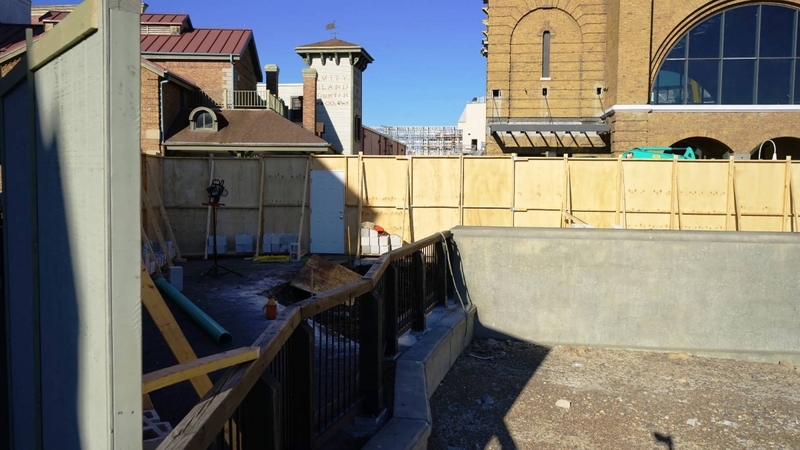 “We’ve pushed every technology available to us to give guests a theme-park experience unlike any they’ve had before,” announced Paul Daurio, a producer of the project. 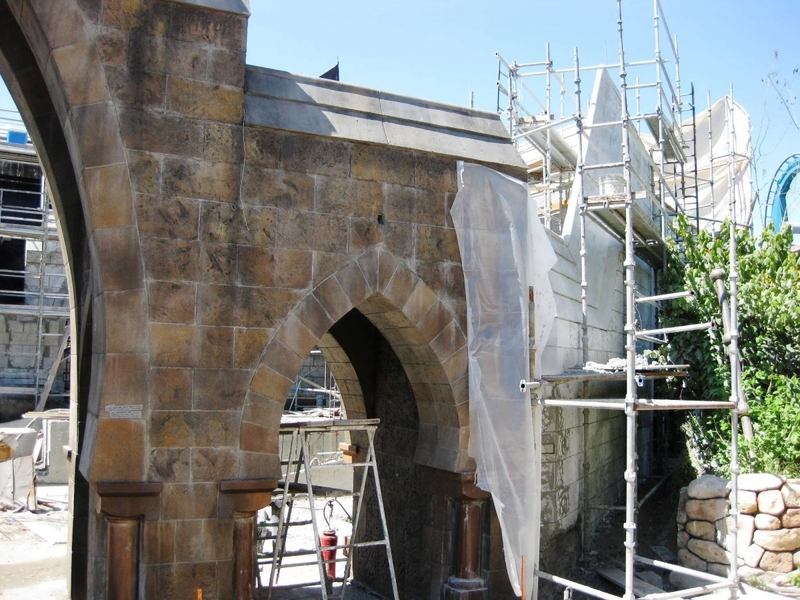 Universal staff poured enormous amounts of time into their work, attempting to make the wizarding village look authentic from every perspective. 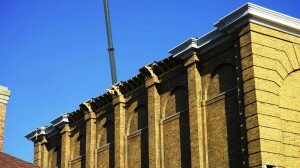 “The detail, the absolute rigorous pushing of detail, is beyond compare,” commented Alan Gilmore. 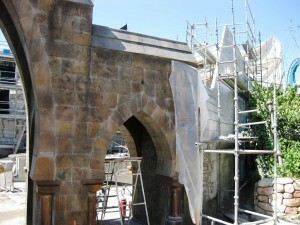 “There is hardly a corner that you can’t look in that does not have some amazing quality of detail, finish, and paint.” The entire land, from Hogwarts Castle itself down to the concrete snow, was designed to replicate the movies. 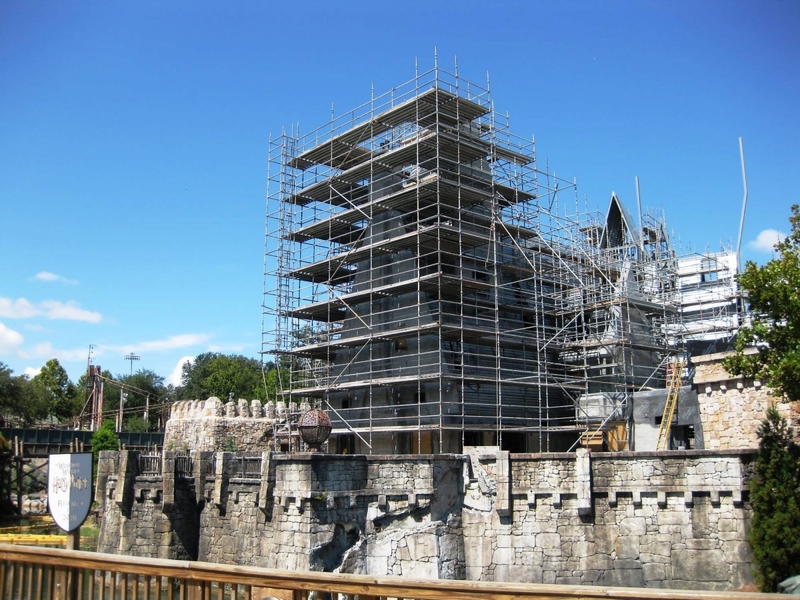 Even the rockwork was carefully researched and detailed; the rocky crag that is home to the castle was inspired by the highland mountains in Scotland. 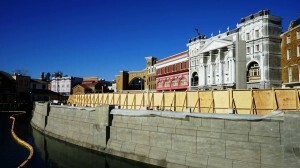 The finishing touch on the location’s authenticity could be found in the employees hired for the opening. 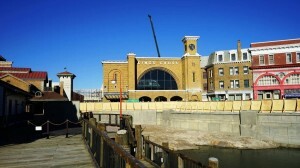 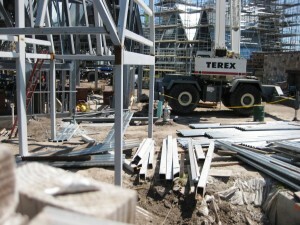 A large number of British team members were assembled to work at the new land and were placed in roles that were integral to the Harry Potter experience, such as wand shopkeepers and station masters. 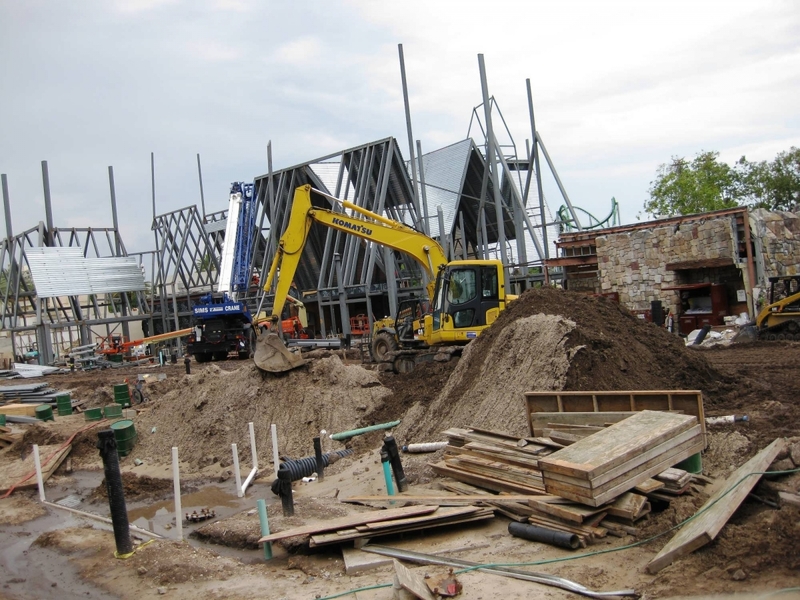 Finally, all employees were required to take exams to showcase their knowledge of the source material in order to create a truly magical experience for park guests. 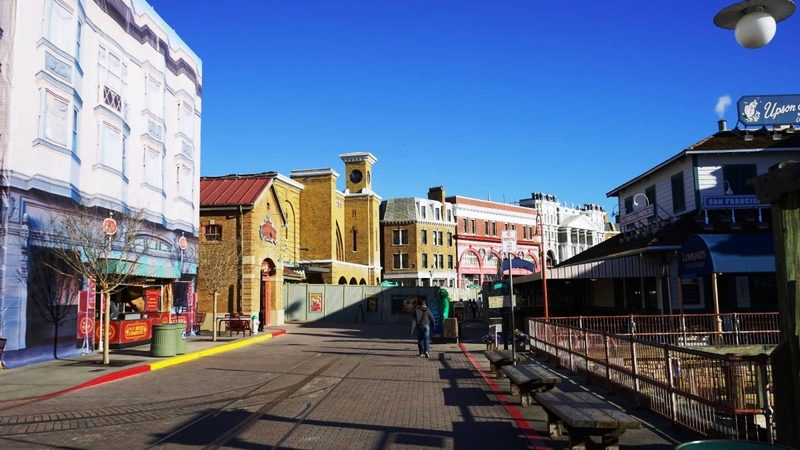 Though immersive and certainly exciting, all of these details would come at a high price: $265 million for the entire area. The night before Hogsmeade opened to the public, a Harry Potter gala was held on the new “island,” with a number of celebrities in attendance, including Daniel Radcliffe (Harry Potter), Rupert Grint (Ron Weasley), and Jo Rowling herself. 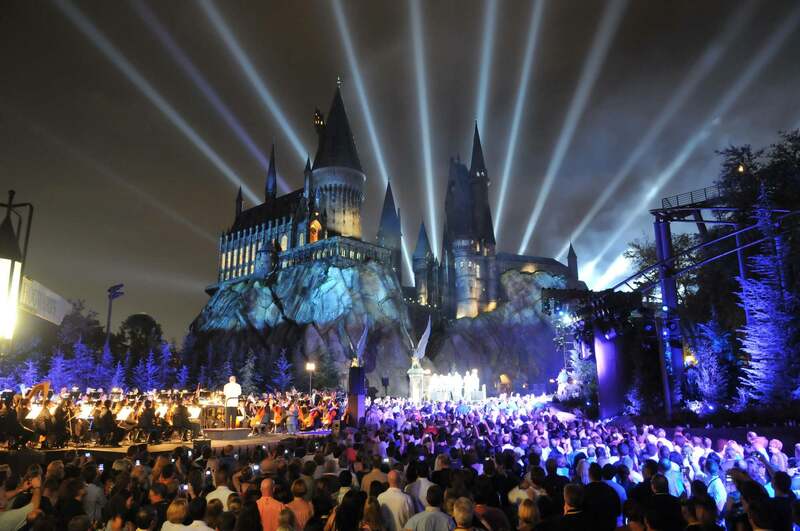 During the event, John Williams conducted a performance of the Orlando Philharmonic Orchestra, which performed a piece written by the legendary composer for the occasion. 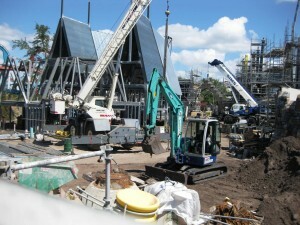 The Wizarding World of Harry Potter – Hogsmeade opened to the public on June 18, 2010, and featured three rides: Harry Potter and the Forbidden Journey, Flight of the Hippogriff, and Dragon Challenge. It also featured a Hogwarts Express photo opportunity, an Owl Post (a post office where postcards and letters can be sent with a postmark from Hogsmeade Village), and a number of magical shops, including Honeydukes, Zonko’s, Dervish and Banges, Filch’s Emporium of Confiscated Goods, and Ollivander’s, the popular wand shop and experience where some lucky wizards and witches are chosen by their wands. 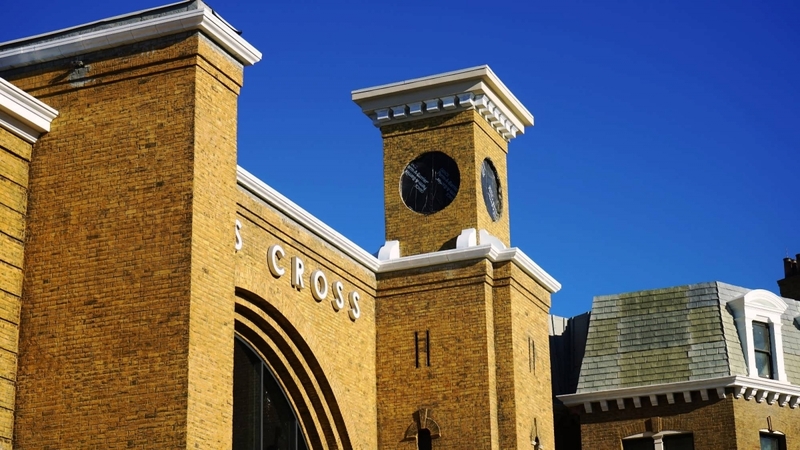 More than 600 pieces of merchandise – including robes, trading pins, attire, wands, stuffed animals, scarves, and sweets – were licensed for the area’s shops. 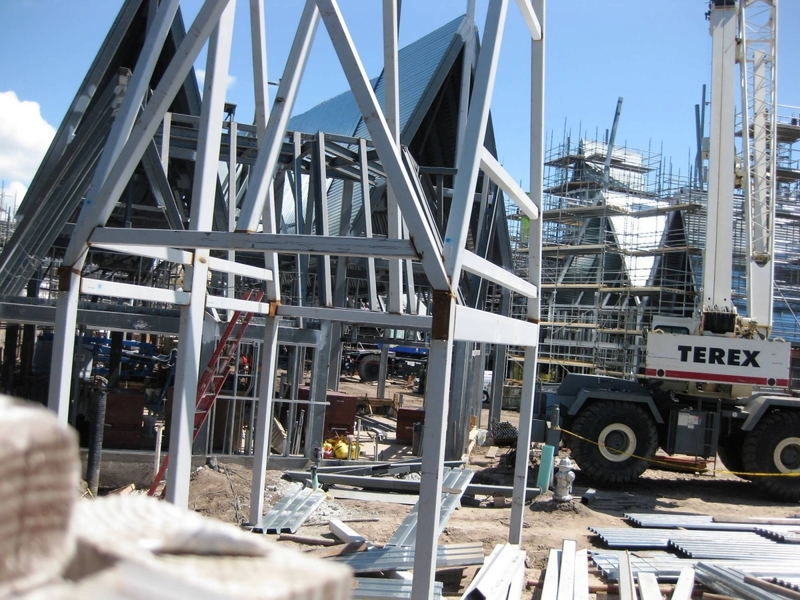 Demand for the souvenirs became so high that Universal faced challenges in keeping the most popular items in stock, leading it to open an online store for its Potter wares and eventually expanding the wizarding-merchandise footprint all over the resort. 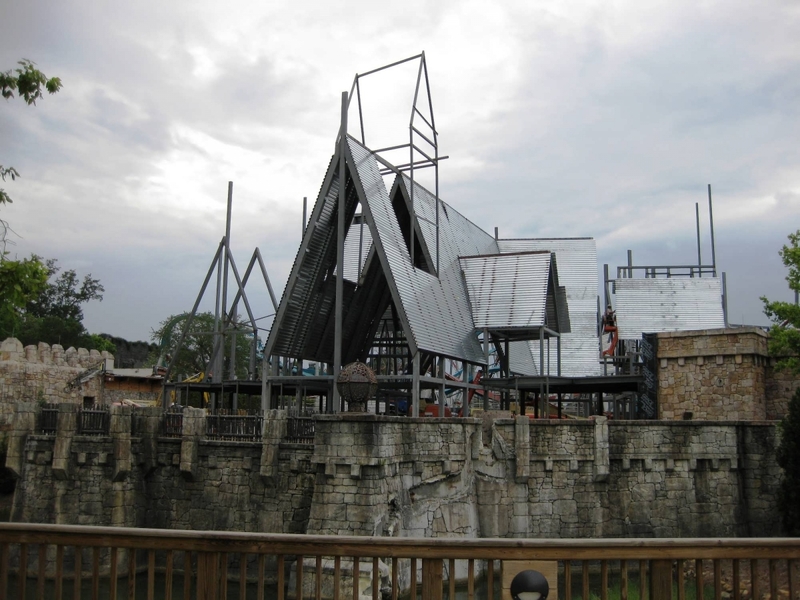 Guests hoping to enjoy a meal fit for a wizard would not be disappointed: The Three Broomsticks and Hog’s Head dining locations both serve drinks and foods that are specifically mentioned in the book series. 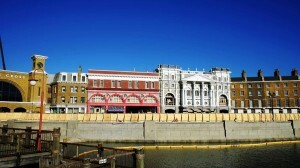 The executive chef of Universal Orlando, Steven Jayson, spent three years researching and creating menu items for the dining locations. 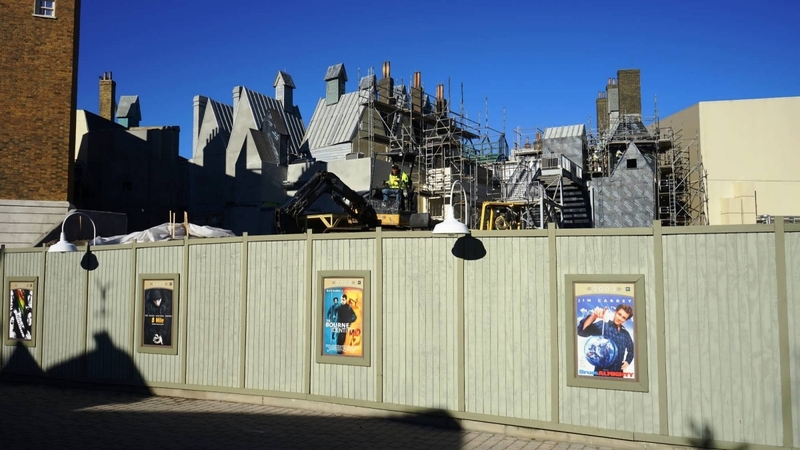 “To take words off of paper and images from film and create a menu that truly reflects the emotions and passion of the Harry Potter books has been a fabulous adventure,” Jayson said in an interview with the Orlando Sentinel. Jo Rowling, whose writing inspired every dish served in The Wizarding World of Harry Potter, even had the final say on the park’s top-secret Butterbeer recipe. 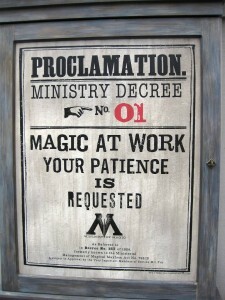 When served a sample of the soon-to-be-famous drink, “she took a sip, eased into a big smile, and said, ‘Yes, Chef, this is it.’” The spell the Universal culinary staff cast to create the sweet concoction has proved wildly successful; on January 6, 2011, Universal announced that it had already sold one million mugs of the “delicious, frothy, butterscotchy libation,” and in the years since, the treat has expanded to four other forms, including ice cream, a hot drink, fudge, and potted cream. 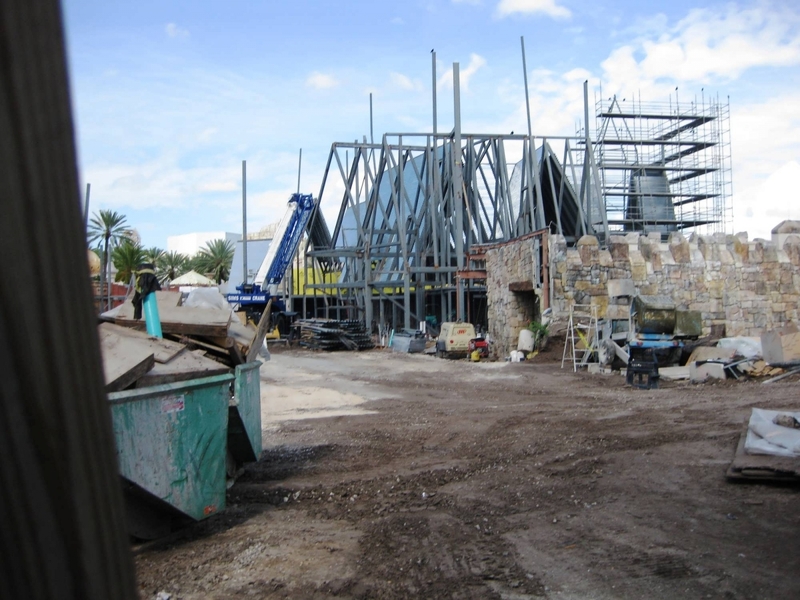 Hogsmeade was one of the driving forces that began to pull the Orlando entertainment and accommodation industries out of the slump of the 2008 global recession. 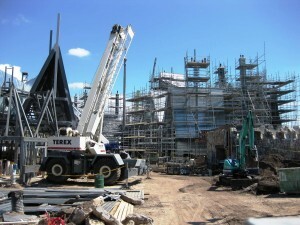 In May 2012, it was announced that Islands of Adventure’s attendance had gone up by 29 percent in 2011 thanks to enormous interest in the park’s newest addition – and that increase in attendance “accounted for nearly half of all the attendance growth at North America’s 20 largest theme parks combined” for that year. The Wizarding World’s success even spread to other businesses in Orlando – hotels throughout the city saw increased attendance and revenues within months of the land’s opening date. Hollywood finally followed suit on April 7, 2016, giving the world its third – and, so far, final – Hogsmeade. Though they are largely the same, each of the three Wizarding Worlds does feature a set of exclusive experiences, whether it be an actual Black Lake in Osaka, extra interactive spells in California, or additional rides in Florida. 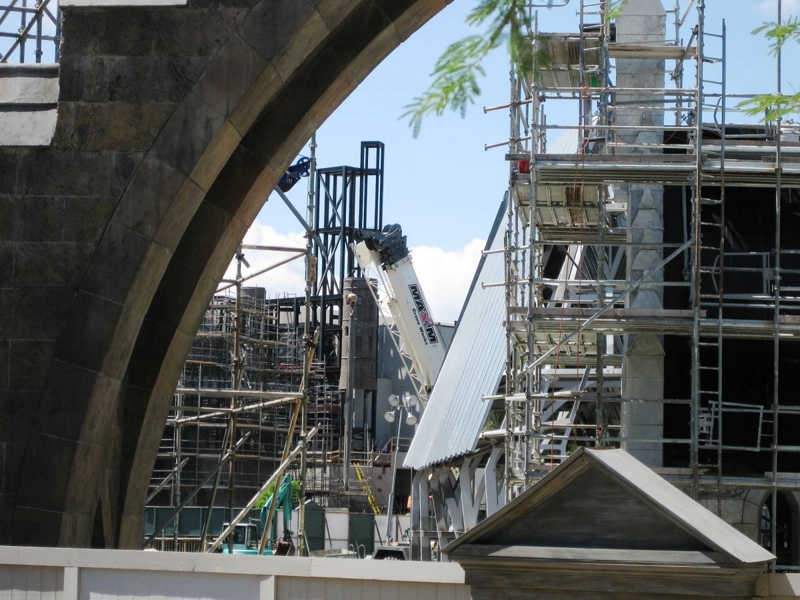 (Of the three, Universal Studios Japan’s Wizarding World of Harry Potter has the biggest set of exclusives, which we break down in this in-depth feature). 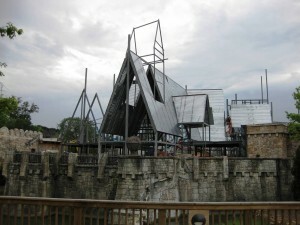 Since opening in June 2010, Universal has kept a small-but-steady trickle of new experiences coming to the original (theme park) home of the Boy Wizard. 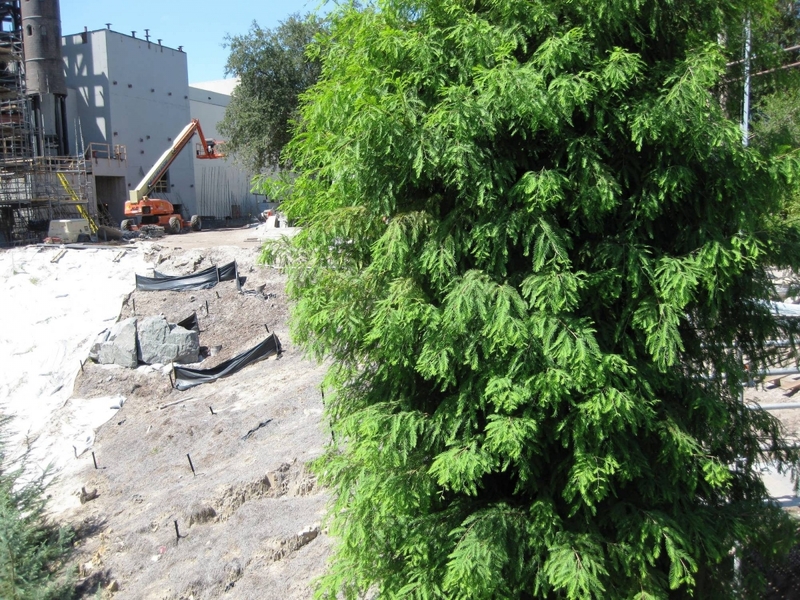 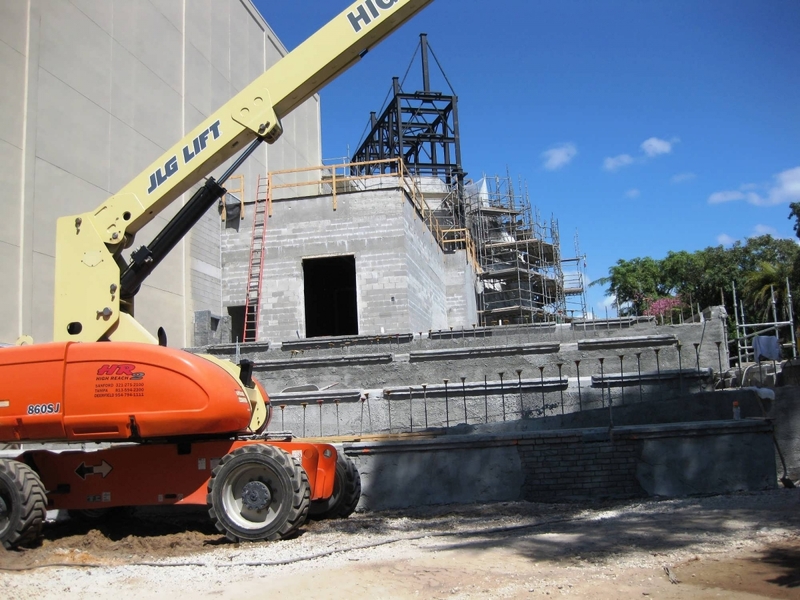 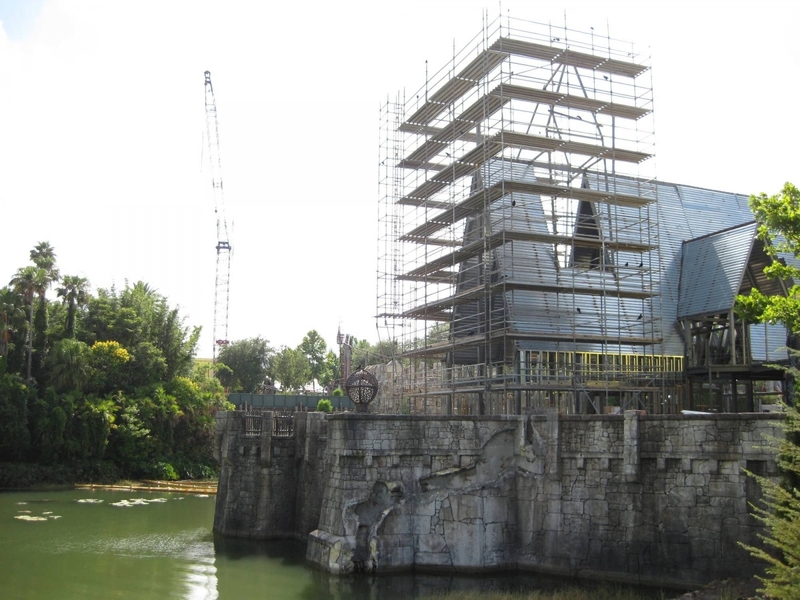 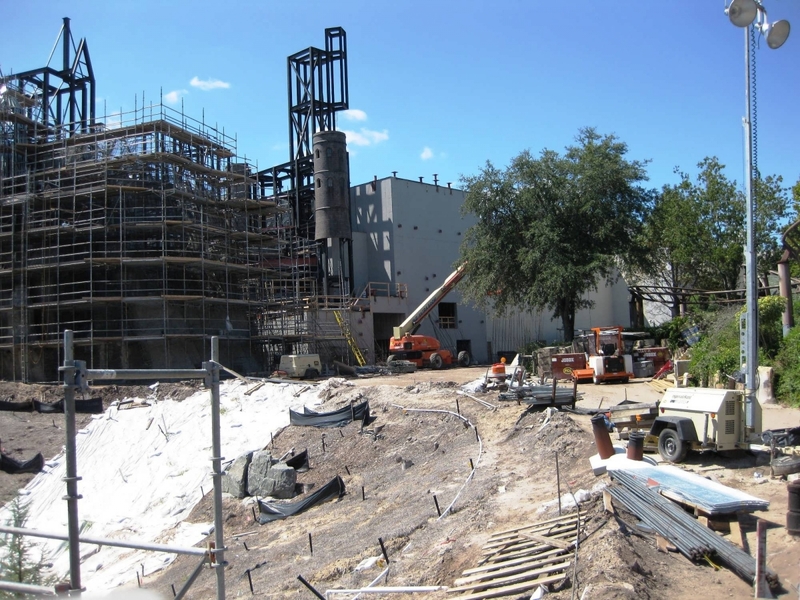 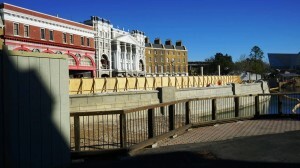 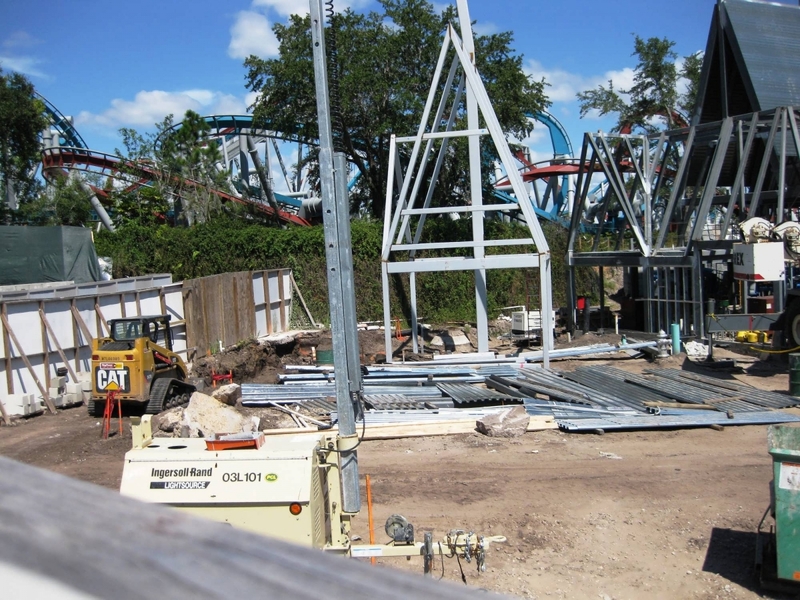 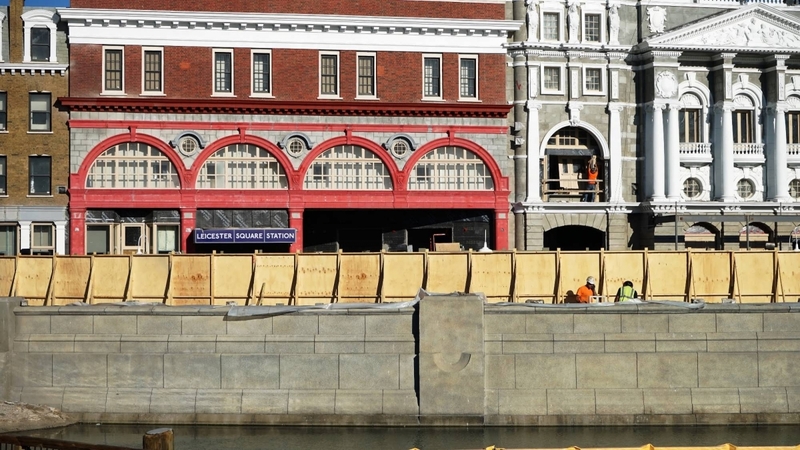 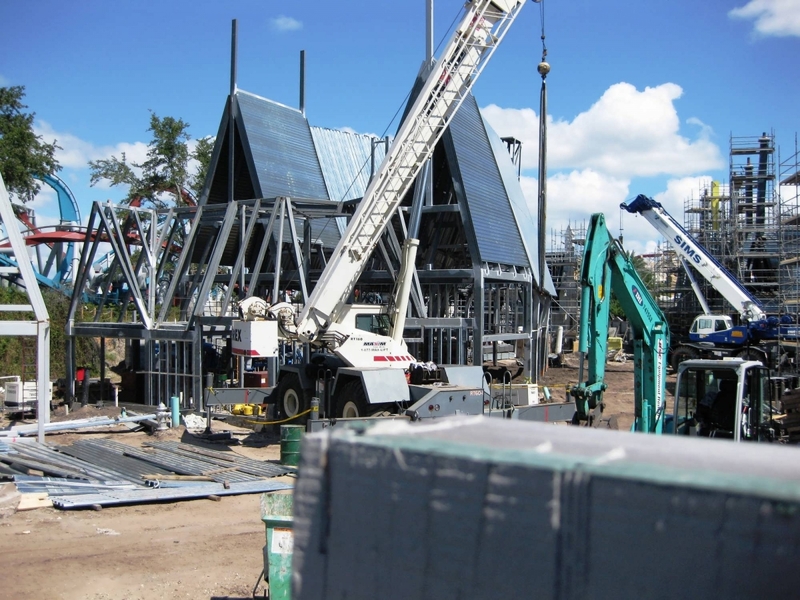 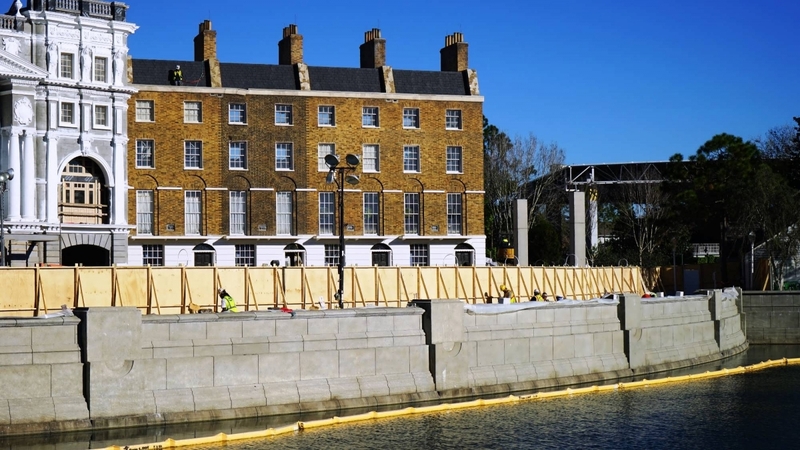 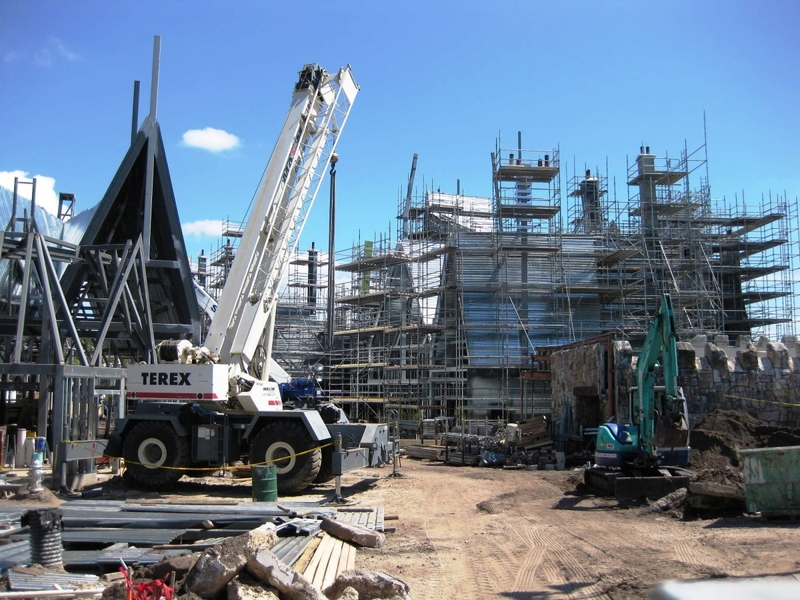 To coincide with the addition of Diagon Alley in Universal Studios Florida, Hogsmeade received three new developments of its own in July 2014. 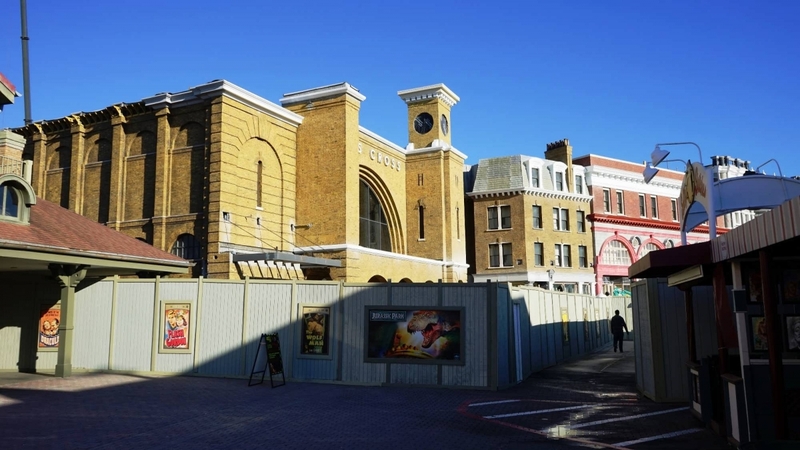 First up, it expanded its wizarding footprint, taking up some more of next-door Lost Continent’s land in order to create a thematic vestibule and to erect Hogsmeade Station, giving the Hogwarts Express a place to disgorge its passengers from the other park. 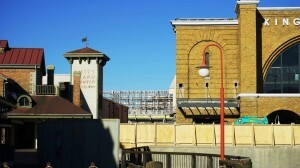 Second, Zonko’s Joke Shop was shut down, since its merchandise properly belonged in Weasleys’ Wizard Wheezes over at Diagon Alley and since Honeydukes desperately needed an expansion, anyway. And, finally, several Hogsmeade Village storefronts got an interactive wand upgrade, adding in the brand-new feature that was originally designed for Diagon (both Universal Studios Japan and Universal Studios Hollywood would also end up receiving this interactive element right from their first day of operation). November 2017 saw the advent of a first-ever Christmas in The Wizarding World of Harry Potter, a seasonal event that also introduced a permanent, year-round attraction: a projection-mapping show that uses Hogwarts Castle as its canvas. 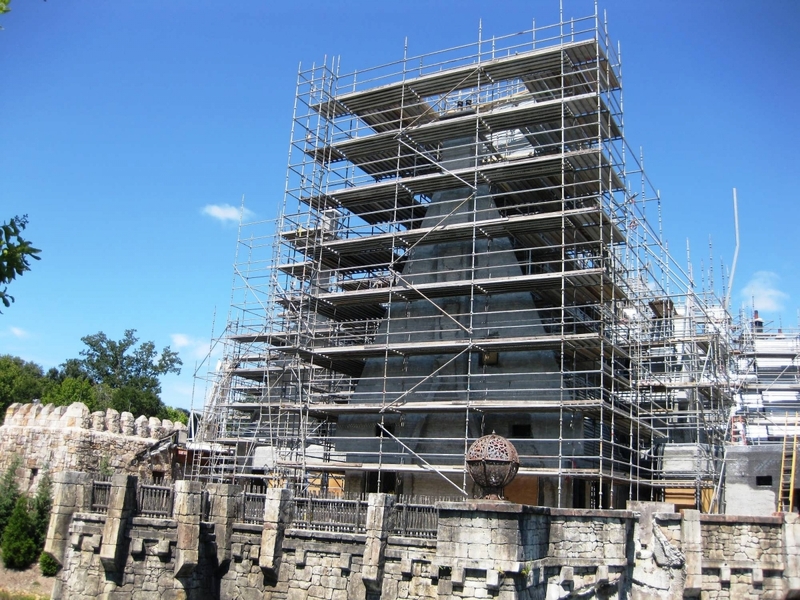 During the holidays, this performance is The Magic of Christmas at Hogwarts Castle; throughout the rest of the year, it switches to The Nighttime Lights at Hogwarts Castle. 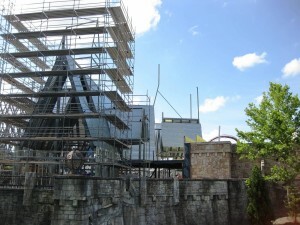 But arguably the biggest change of them all has to do with Dragon Challenge, the roller coaster that the Wizarding World inherited (and which the Hogsmeades in Osaka and California didn’t have the room to include). 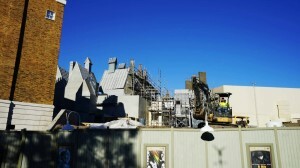 After the 18-year-old inverted coaster reached the end of its lifespan in 2017, Universal opted to tear it down instead of replace it; taking up its mammoth footprint will be a new, more-family-oriented roller coaster that will include locations, characters, and creatures not seen in any of the other wizarding attractions. 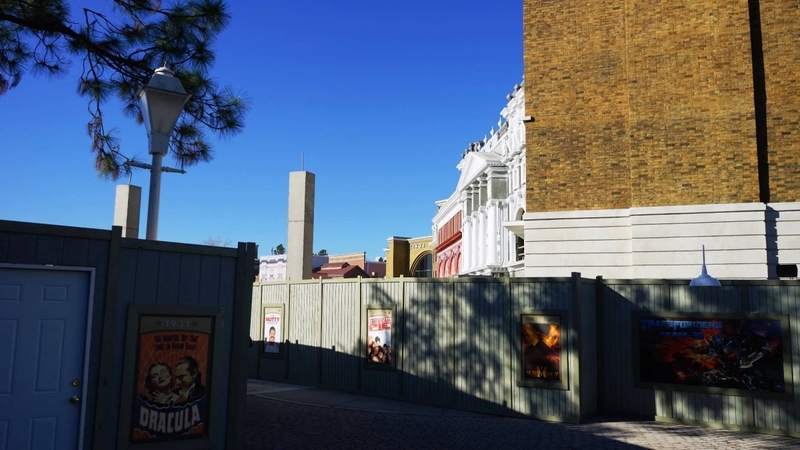 It is due to open sometime in 2019. On the same day that Universal Studios Hollywood’s Hogsmeade was revealed, Universal also announced that the Wizarding World in Orlando would be getting an expansion, although it would be nearly a year-and-a-half before it would finally clarify just what that expansion would entail: on May 8, 2013, The Wizarding World of Harry Potter – Diagon Alley was confirmed to be arriving at next-door Universal Studios Florida. 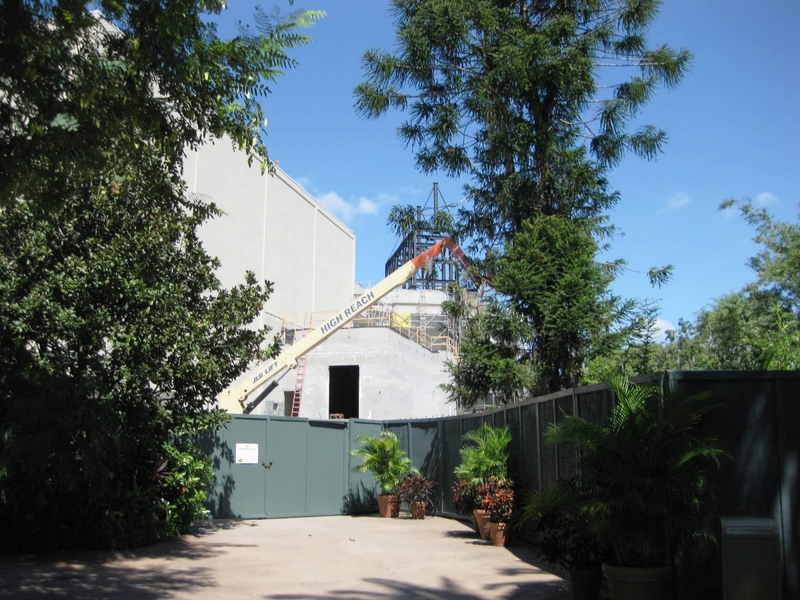 Much like Hogsmeade before it, Universal tried to keep everything as top-secret as possible, but nearly every major attraction, restaurant, and shop leaked out into the rumor mill months, if not years, before the company officially tipped its hand. 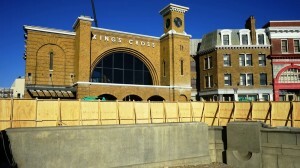 This was primarily due to Diagon Alley’s preliminary design work having started before even Hogsmeade was completed; Stuart Craig, the movie series’s production designer, started sketching the layout of a Leaky Cauldron restaurant after he completed the blueprints for The Three Broomsticks, and Universal Creative began toying around with the idea of a real, live Hogwarts Express that would connect its two Orlando parks as far back as 2010. 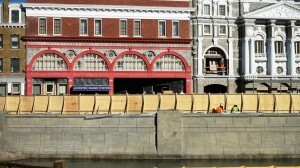 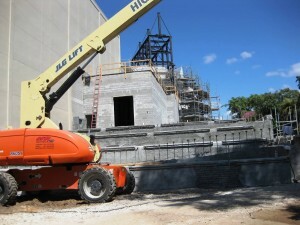 In the spring of 2012, permits and other paperwork filed with the South Florida Water Management District – that long-time spoiler of theme-park secrets – revealed the exact, though unlabeled, layout of the new Wizarding World’s buildings, roads, and other such structures, including one that looked suspiciously like a train station. 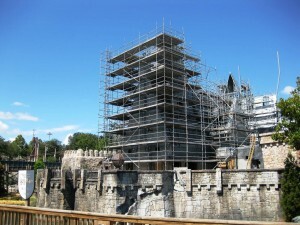 That August, Universal informed its employees in its team member newsletter that they should expect delays and rerouted traffic in the resort’s backstage area starting on the 20th due to “infrastructure upgrades and utility maintenance.” Once the associated map from the newsletter hit the web, outlining the path that the Hogwarts Express would take from Universal Studios Florida to Islands of Adventure, the cat was well and truly out of the wizarding bag. 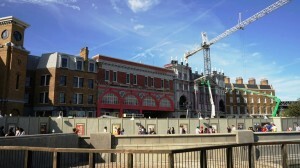 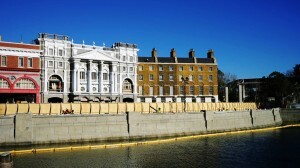 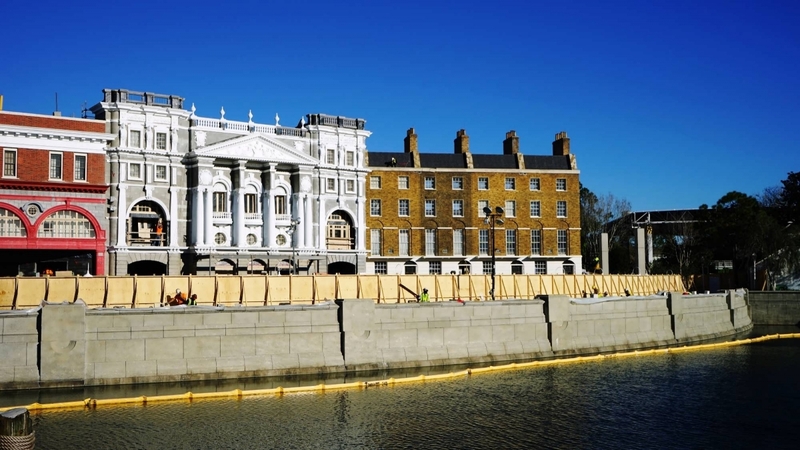 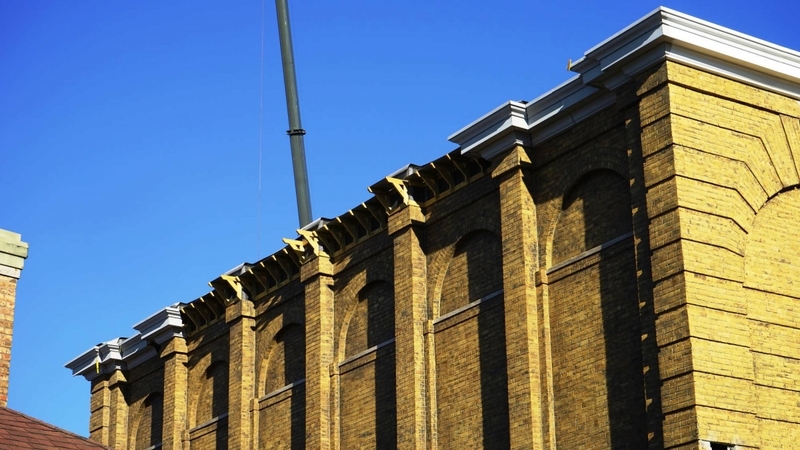 Throughout the early part of 2013, with the feeling that so much was known about Diagon Alley, a growing sense of frustration was palpably building in the theme-park enthusiast crowd. Why wasn’t the company announcing any of this? 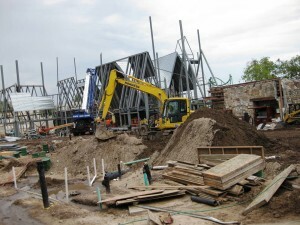 The explanation, it was believed, could be found in the disastrous plunge in ticket and annual-pass sales from between the time that Hogsmeade was originally announced to when it finally opened, three long years later – the company didn’t want to repeat that mistake ever again. 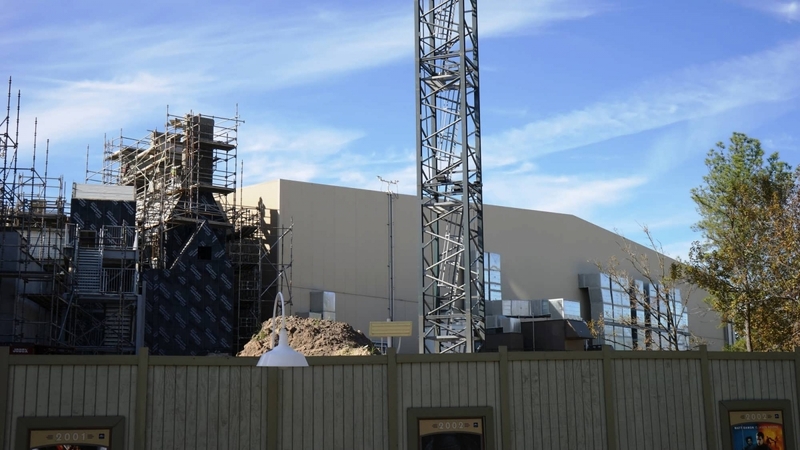 As it turns out, however, theme park and Harry Potter fans didn’t have to wait for much longer, as the official reveal finally dropped in May. 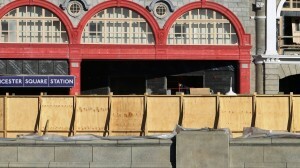 Although only the bare-bones basics were divulged by Universal – the literally only new bit of information for grizzled rumor veterans was the presence of the giant, 60-foot, fire-breathing dragon atop Gringotts Wizarding Bank – there was a veritable cavalcade of other revelations to go alongside it, starting with our very first look at the Hogwarts Express’s track even before Universal got around to formally announcing the attraction. Meanwhile, Universal sent out a survey to annual passholders and other targeted guests. 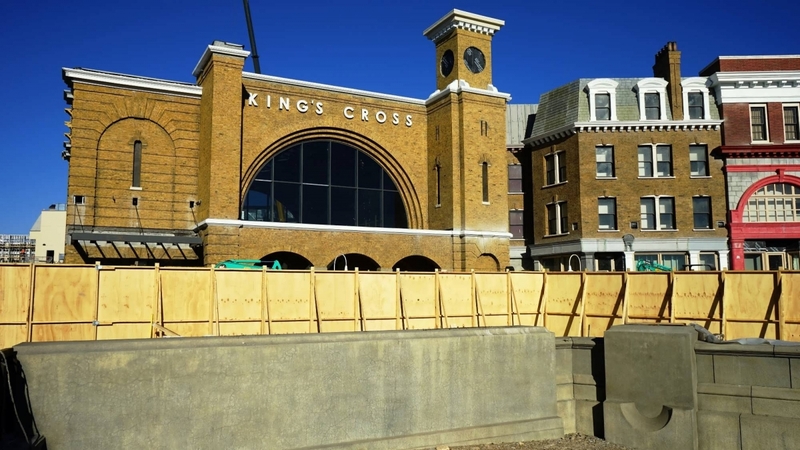 Although ostensibly gaining information for how best to handle the park-to-park Hogwarts Express, keen-eyed readers were able to glean a bit more information than the company was willing to share just a few weeks earlier, including a more firm “summer 2014” release date, Harry Potter and the Escape from Gringotts being a 3D ride, and the Express featuring a different experience on both legs of the trip – all as the rumor mill was stating for the past year (or more). 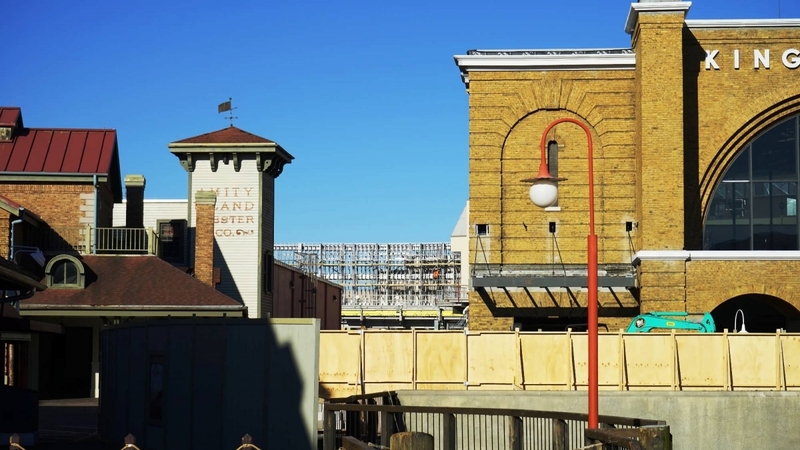 Not all of the latest intel was good, however, including the little bombshell that Daniel Radcliffe wanted nothing to do with the new theme-park land. 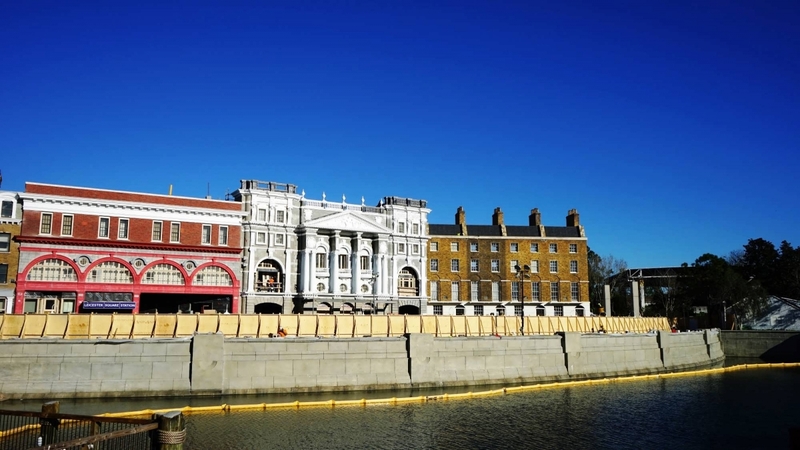 Although many spent the next year fervently convincing themselves that the former boy wizard would change his mind, he never did, and neither, apparently, did Emma Watson – neither actor would film any new footage or record any new lines of dialogue for Diagon Alley. 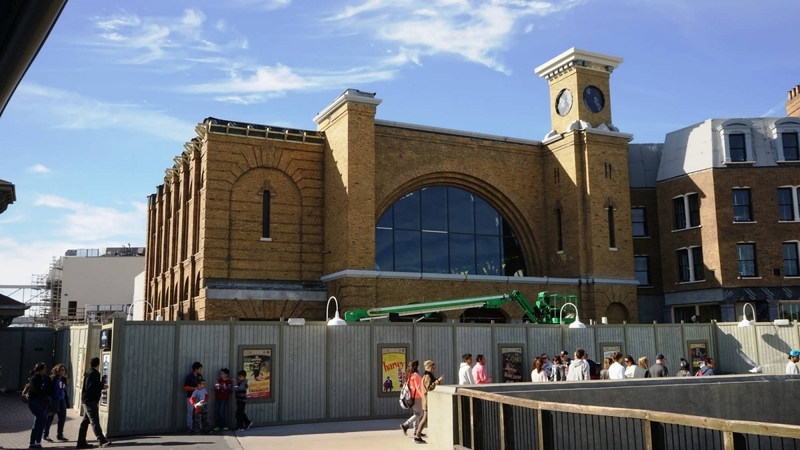 The good news picked back up, however, towards the final stretch of 2013, when the train was installed on its tracks and The Leaky Cauldron was finally and officially announced. 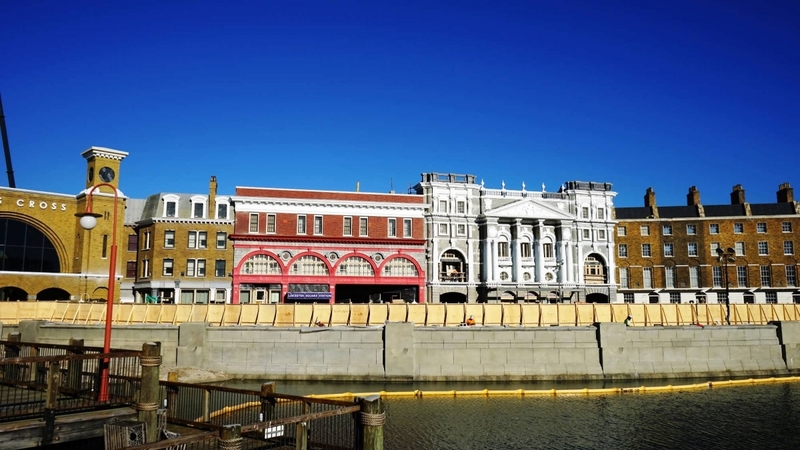 And then, of course, in the early months of 2014, the rest of Diagon Alley’s many streets, vendors, and shops were similarly divulged in a series of special webcast presentations, attempting to build fan interest and excitement to an unbelievably high crescendo. 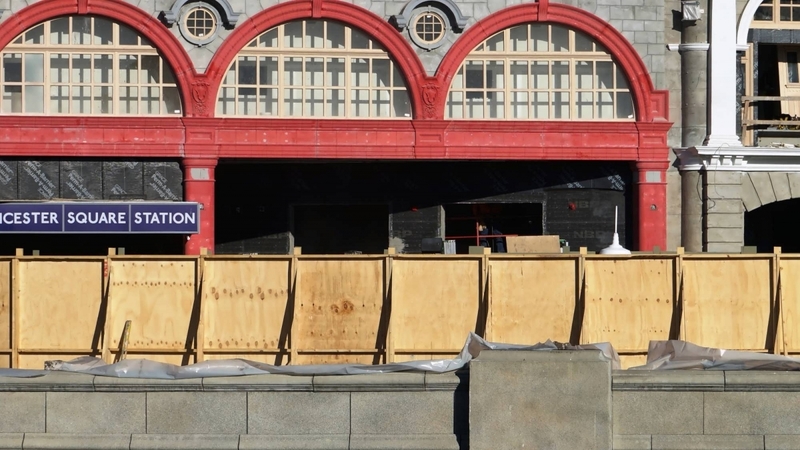 It worked – perhaps a little too well, as increasingly-impatient vacationers wanted to make their travel preparations, including requesting time off work and booking their hotels. 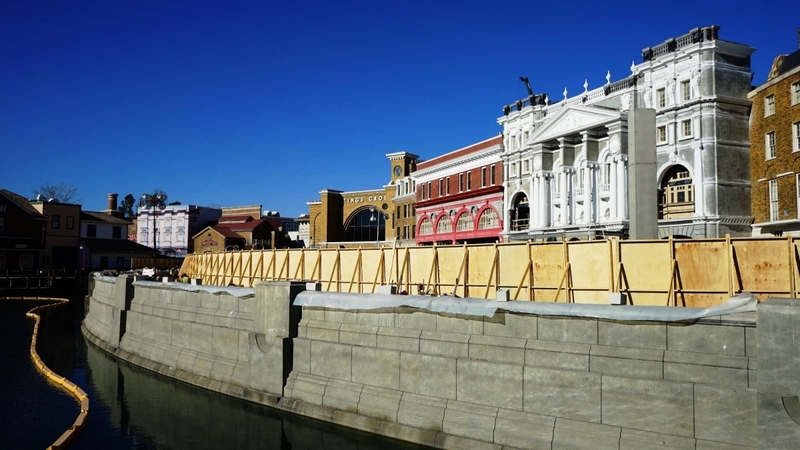 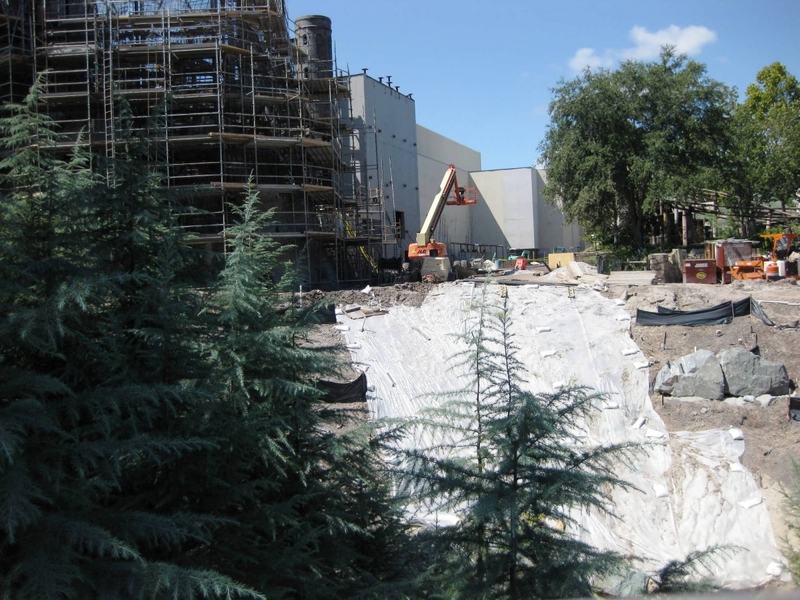 Universal, however, wouldn’t formally announce the July 8, 2014 opening date for another several weeks, until the land’s red carpet “premiere” for media and VIP guests on June 18. 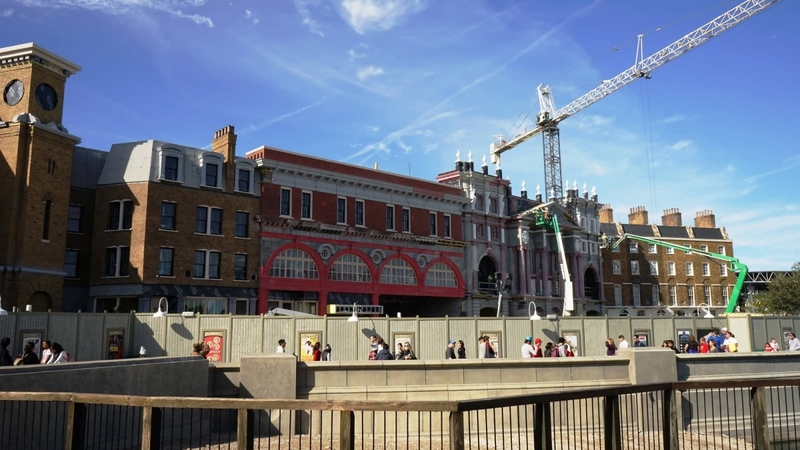 Unlike Hogsmeade, which has recieved expansions and new rides since its opening day, Diagon Alley has remained comparatively static, with its only changes of note coming in the form of a few store swaps. In September 2015, a little over a year after the area debuted, Universal realized that it didn’t need an indoor overflow queue for Madam Malkin’s Robes for All Occasions, after all, and, as such, closed it down; the following month, Shutterbutton’s moved into the space, helping to spruce the photography studios’s sales while simultaneously maximizing Diagon’s real estate. 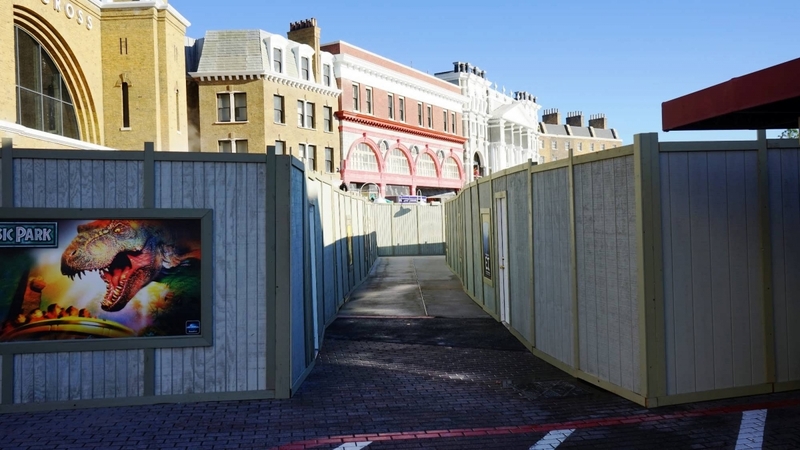 This development, in turn, opened up Shutterbutton’s former residence in the back corner of Carkitt Market, enabling the company to install a brand-new store: Sugarplum’s, finally giving the new Wizarding World a sweet shop of its own. 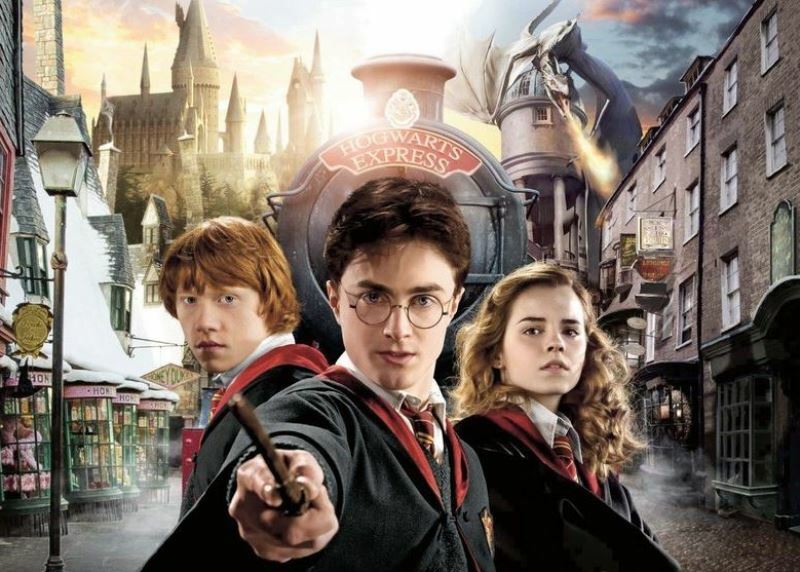 Why isn’t Harry Potter at Disney World? 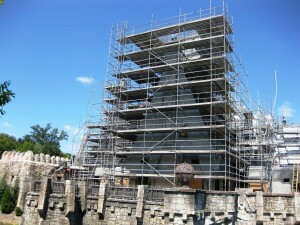 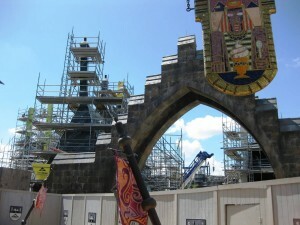 Many people wonder why The Wizarding World of Harry Potter is not at Walt Disney World Resort. 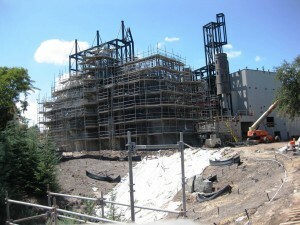 You may be interested to know that Disney and J.K. Rowling were in talks for a period of time to bring the boy wizard to Disney World; however, Rowling demanded more creative control over the project than Disney was willing to give, and the company – surprisingly – wasn’t willing to commit as much money and resources to the proposed land as Universal would end up bringing. 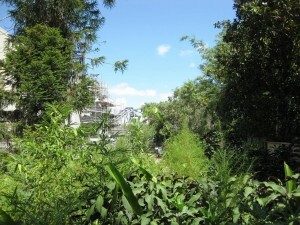 Once their talks died out, Universal was more than happy to step in and agree to the author’s terms, setting in motion a new era of development and success at Universal Orlando Resort (and also an era of more immersive theme-park lands across the board, as both Pandora: The World of Avatar and Star Wars: Galaxy’s Edge are Disney’s answer to Diagon Alley and Hogsmeade). 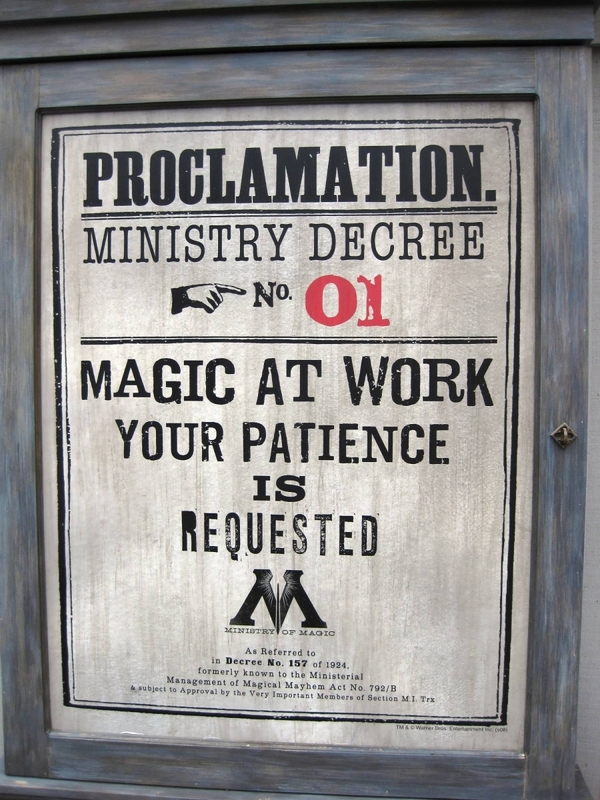 There are two popular misconceptions regarding the Wizarding World. First, many guests believe that both Hogsmeade and Diagon Alley are their own theme park, a misconception probably born from the fact that, in Universal’s initial marketing push back in 2010, it referred to Hogsmeade as “a theme park within a theme park.” It’s since dropped that language, thankfully enough. 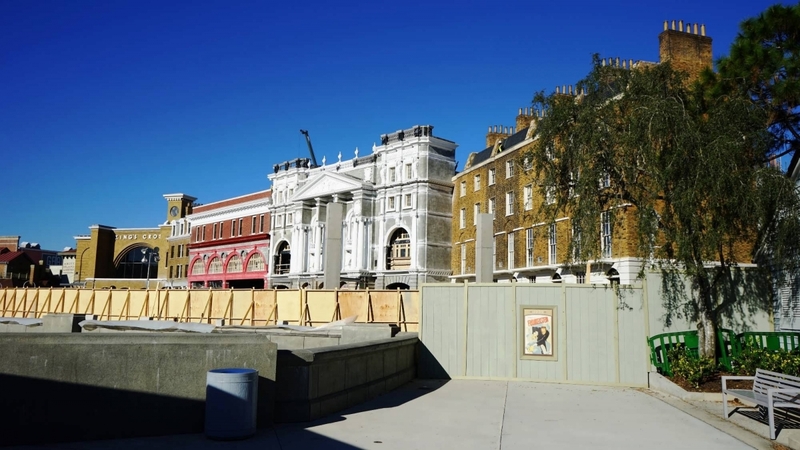 This leads to misconception number two, which is actually more of a disappointment: neither Hogsmeade nor Diagon Alley is simply that large. Don’t misunderstand us – they are the biggest of the lands in their respective theme parks and, indeed, a triumph in themed entertainment – but with only a grand total of five rides, a dozen (or so) stores, and three restaurants, they are certainly not large enough to be considered their own park. 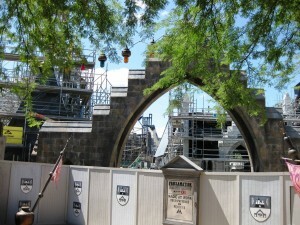 There are two entrances to Hogsmeade. 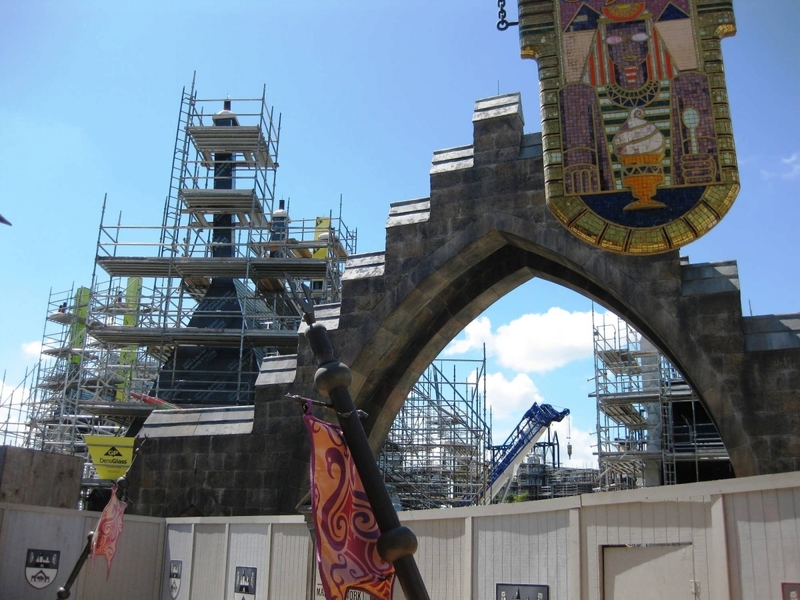 Most guests enter through the one that connects the Wizarding World to The Lost Continent, which you could call the primary entrance. There is also a doorway on the backside of the area, near Hogwarts Castle, that connects to Jurassic Park. 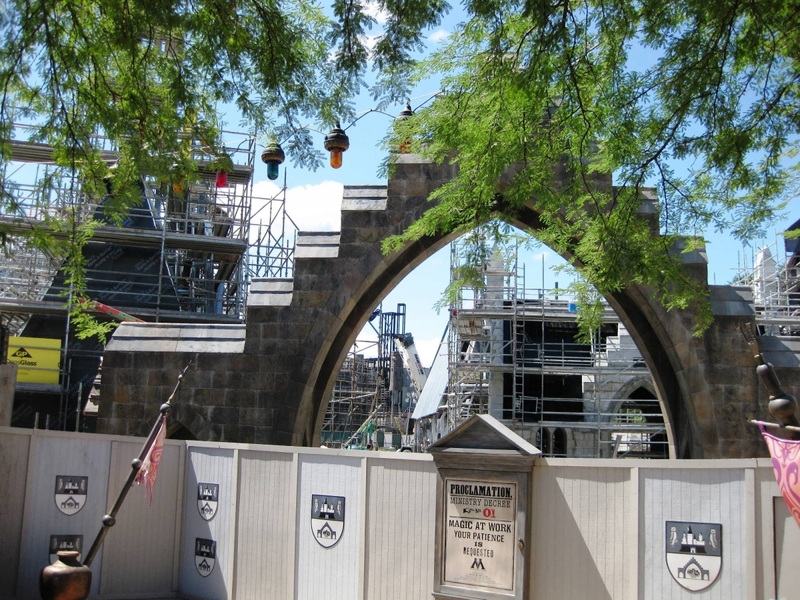 If you enter through Lost Continent, you will walk into Hogsmeade Village. This lower portion of the Wizarding World is home to most of the shops, The Three Broomsticks and Hog’s Head, and an upcoming roller coaster. On the back end of Hogsmeade Village is a relatively small outdoor gathering area, replete with a stage, where the live shows are performed. 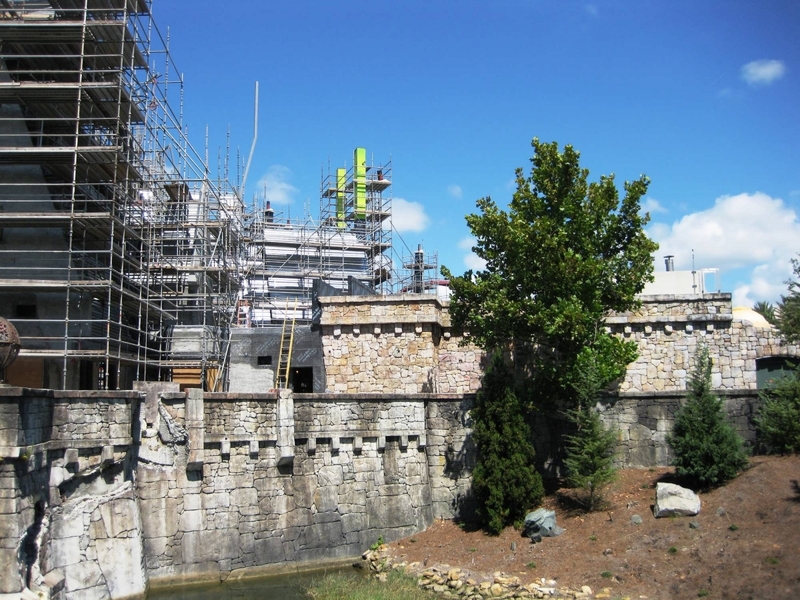 At the far end of the Wizarding World lies the magnificent Hogwarts Castle, home to Harry Potter and the Forbidden Journey. 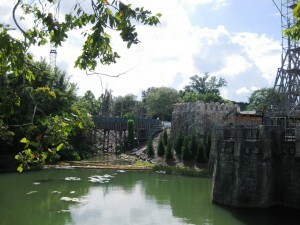 Flight of the Hippogriff is situated right next door, at Hagrid’s hut. Unlike Hogsmeade, there’s essentially only one designated entrance into and exit out of Diagon Alley; this is because of the London waterfront area, which was designed to hide the Wizarding World behind it completely from the rest of the (muggle) park. Looking at the row of famous London landmarks, the entrance is hidden underneath Leicester Square Station, and the exit secretly sneaks through Wyndham’s Theater (not that many use this second passageway at all). 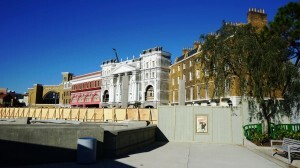 Guests enter directly on Diagon Alley, which leads to the next, perpendicular street, Horizont Alley. 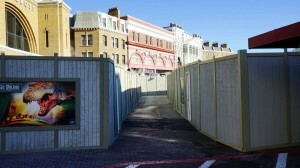 Carkitt Market, a (mostly) covered shopping area, is next, linking the end of Horizont with the beginning of Diagon. 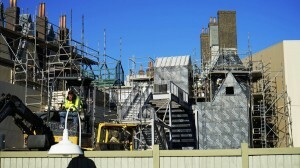 Finally, Knockturn Alley is a side street, running off of Diagon and looping up to connect to the other end of Horizont. 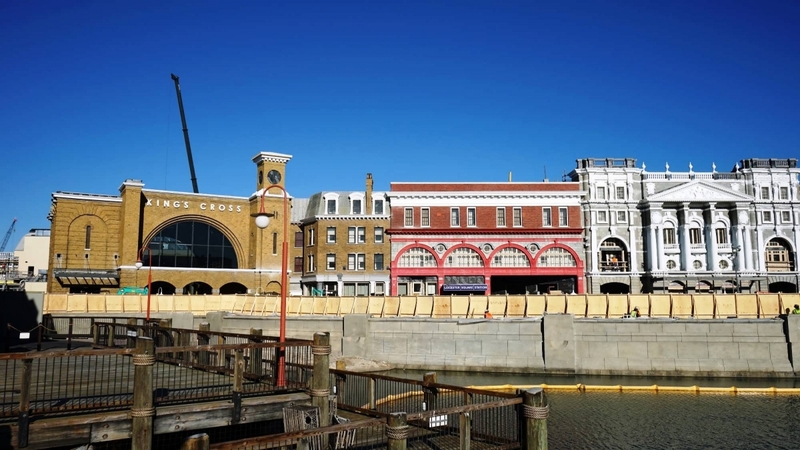 If that sounds a little confusing, it was meant to be – Universal tried very hard to make its new Wizarding World feel like a hustling, bustling downtown city block, the exact opposite of sleepy, rustic Hogsmeade Village.